In the How Do I Get A Job Knowledge Base article, we discussed how to have a job given to you. This article will discuss how you complete a job, from picking-up the delivery to having the delivery signed off. Open up the job(s) you’ve just been allocated. 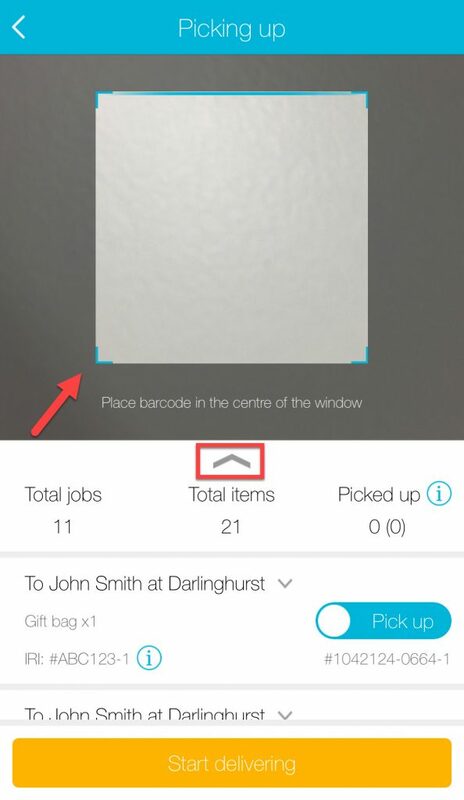 Go into the ‘Mine’ section of the App and find the job(s). The Job page will show you all the information about the Job. Make sure you’ve read and understand all the information. When you have done so, click the ‘Start picking-up’ button at the bottom. 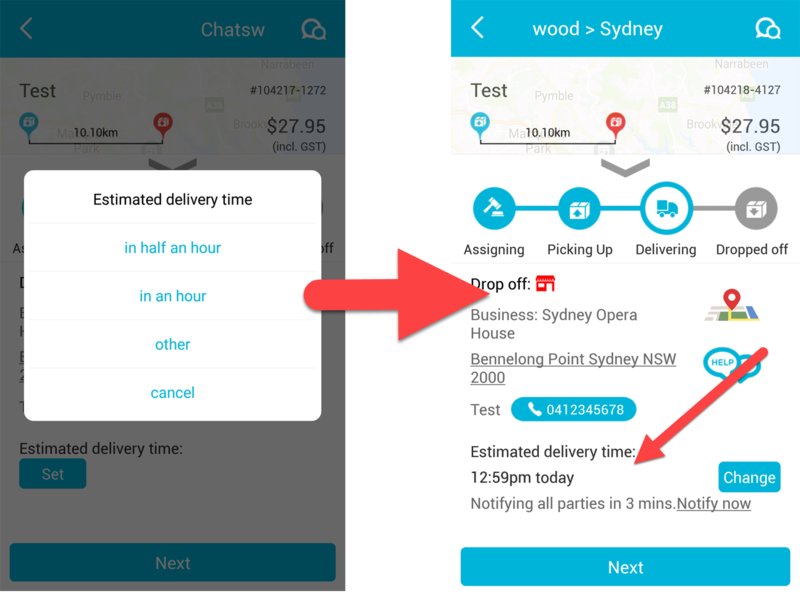 If you haven’t been prompted to, you can also change your estimated pick-up time, by clicking the ‘Change’ button in the highlighted area. When you’ve pressed ‘Start picking-up”, you’ll be sent to the ‘Picking-up’ part of the Job screen. At the top, is a barcode scanner. Use this to scan the barcodes of the separate parcels. Note the arrow (highlighted). Open that arrow. You will be shown all drop-offs. In this case, there’s 11 drop-offs (jobs) and 21 items. The 11 jobs are listed below. On the right, is a slider. Pushing the slider means that you’ve picked-up all the items for the delivery. Note the yellow ‘Start delivering’ button down the bottom. The button at the bottom will remain yellow until you’ve slid every slider across. 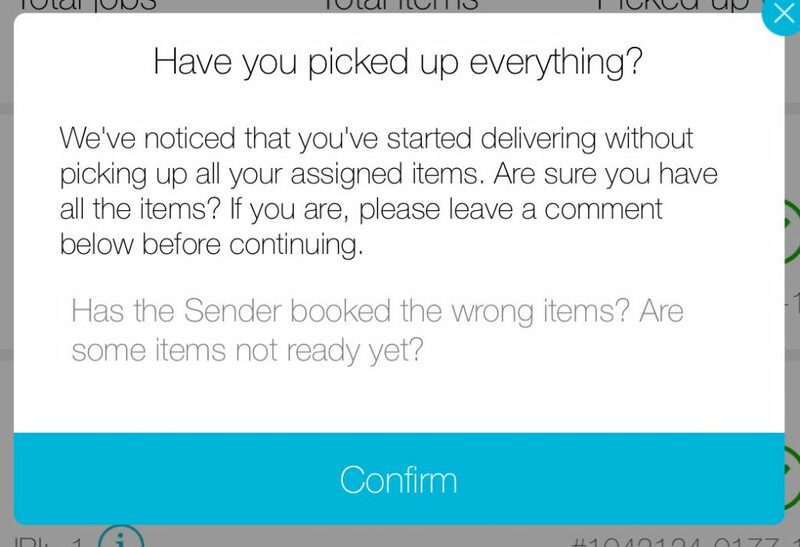 Not until you’ve picked up every item, will the ‘Start delivering’ button will turn blue. Let us know why there is a mismatch. Press ‘Confirm’ to begin delivering. 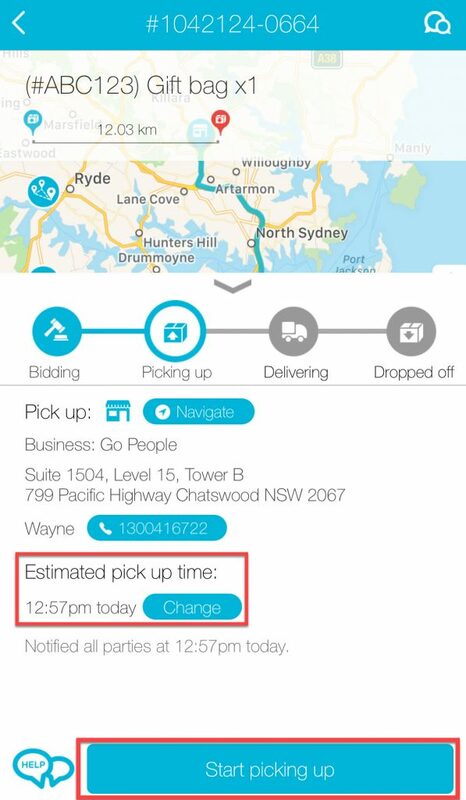 NOTE: If you wish to change your estimated pick up and delivery times, please do. Click on the ‘Change’ button to do so. Handing the item over to the Recipient is a very important part of the process. 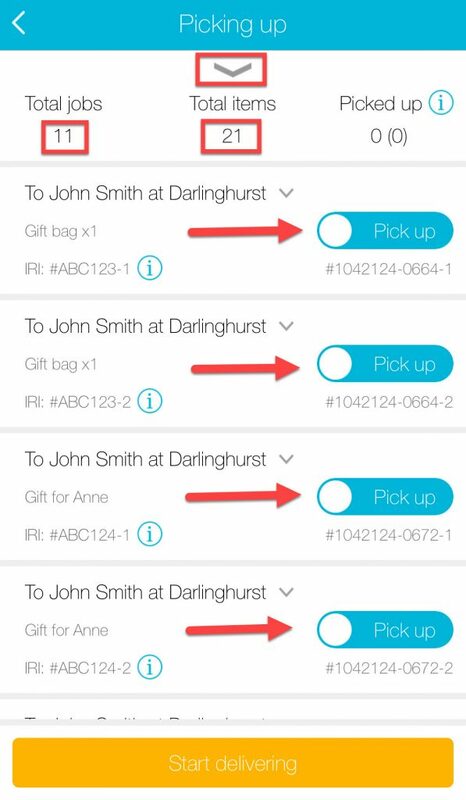 Most of the time, the Recipient is present and able to receive the delivery. Sometimes, they’re not. When you arrive at the destination, double check if there’s any information in the ‘Notes’ or ‘Comment’ section that mention any special delivery instructions (for example, “enter through gate on the right”. press ‘Next’ to move onto the Proof of Delivery screen. Type the Recipient’s name and then click on the blue square beneath to open up the signature screen (Jenna is just a placeholder name; it’s not necessarily the Recipient’s name). Then, ask the Recipient to sign their name off, using their finger. 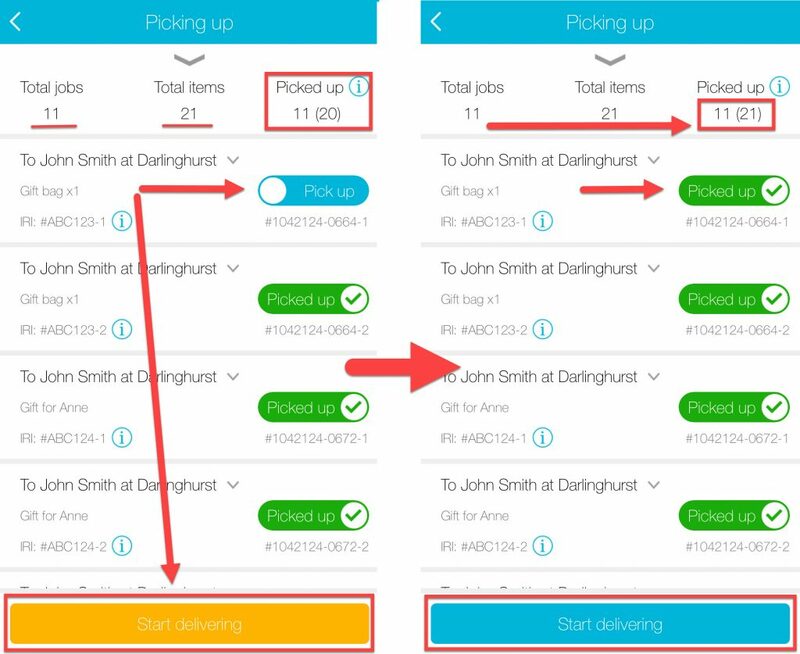 Check the notes of the job – do they give you an information about where to go, or where to drop it off, or if you can leave the parcel somewhere? If not, or if you have any further questions call the Sender, and if they don’t answer the phone, call the Recipient (if number is provided), and if they don’t answer, call us (on 1300 416 722). 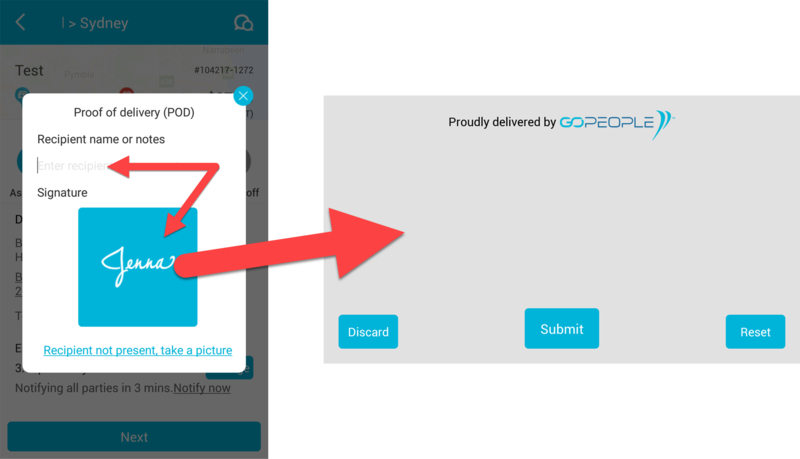 Usually, taking a photo proving delivery is the most common way to get around this issue. For more information, read How To: Take A Photo For Proof Of Delivery. 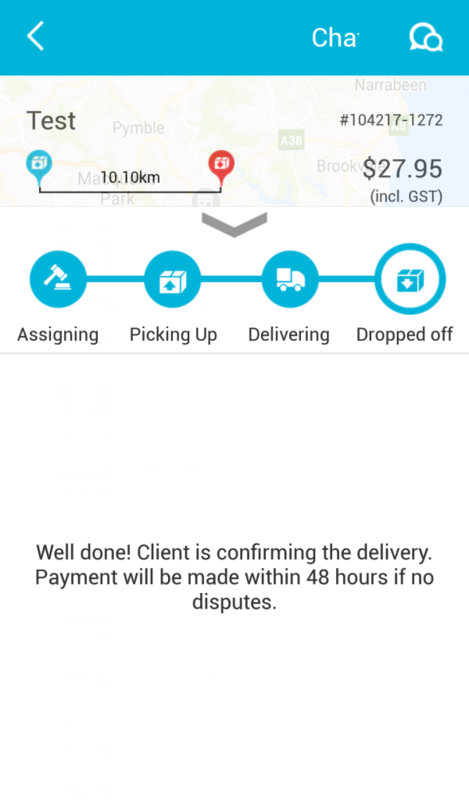 After the Sender has confirmed the delivery, and if there are no Disputes, you will be able to access your wages for the job. For information on how to draw money from your account, please read the How To: Withdraw Money From Your Account Knowledge Base article.